. يقدم ميلانو للشقق الفندقية خدمات لا غبار عليها وكل أشكال اللياقة وحسن الضيافة اللازمة لإسعاد ضيوفه. تتضمن الميزات الرئيسية في هذا الفندق: تسجيل وصول/خروج سريع, تخزين الأمتعة, واي فاي في المناطق العامة, صف السيارات, التوصيل من وإلى المطار. تتضمن كل غرف النزلاء وسائل الراحة والتسلية المصممة خصيصاً لضمان الراحة القصوى للضيوف. يقدم الفندق مجموعة واسعة من وسائل الراحة المتنوعة، كمثل: حوض استحمام ساخن, مركز للياقة البدنية, ساونا, حمام سباحة داخلي, سبا. مهما كانت دواعي سفرك فإن ميلانو للشقق الفندقية هو خيار ممتاز لإقامتك في ملبورن. مكتب الإستقبال مفتوح من 07:30 صباحاً إلى 11:00 مساءً خلال أيام الأسبوع ومن 8:00 صباحاً إلى 9:00 مساءً خلال عطلة نهاية الأسبوع. الضيوف الذين سيصلون خارج هذا الوقت يطلب منهم التواصل مع العقار مباشرة قبل موعد الوصول لترتيب هذا الأمر. يتطلب العقار وديعة تأمين قابلة للاسترداد بقيمة 150 USD عند تسجيل الوصول. يتم توفير خدمة التدبير المنزلي مرة واحدة في الأسبوع عند الحجز لمدة 7 ليال أو أكثر. I had booked to stay here a month earlier for a Saturday night, but I was called the morning of to be told that some guests hadn't checked out of the room I was due to stay in so it was no longer available. They were able to arrange their sister hotel for the night which I thought was good problem-solving. So can only really rate their customer service. Stayed 2 nights February 2019. Wonderful place. 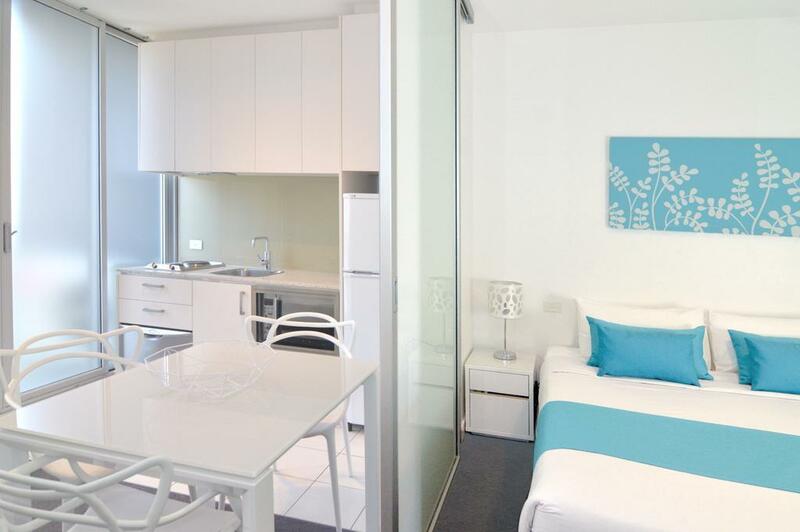 Clean, friendly staff and right on Swanston Street so a short walk to main attractions in CBD. The kids loved the spa and pool. There is also a tennis court and gym. Will stay again. This place was great. Travelling for business. Kitchen was well set out, rooms were comfortable, the gym had everything I needed and the pool was good. 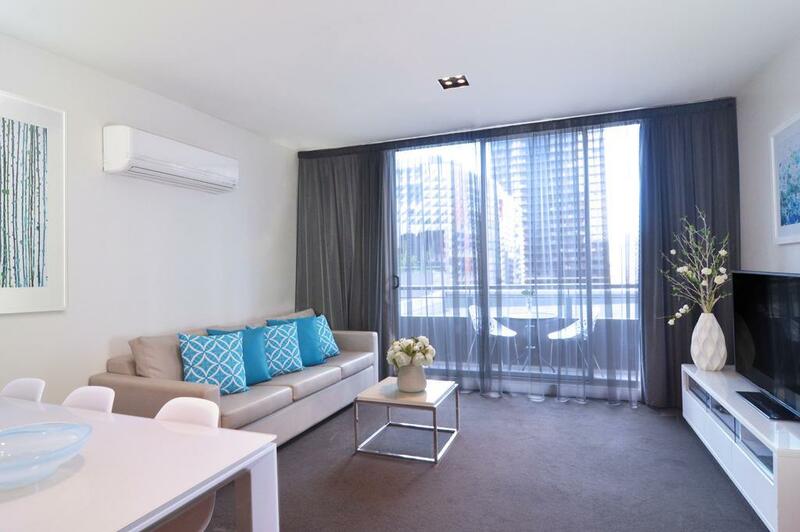 Location is super close to trams and other amenities in Melbourne. Also the staff were helpful. I stayed 2 nights with a group of friends - location was great as it was close to restaurants and public transport. The rooms were clean and the air conditioner was a life saver as we were there on one of the hottest days in summer! First of all, the staff were very friendly. From the moment we arrived, they were all smiles. The rooms were clean and well maintained and the facilites are quite good. 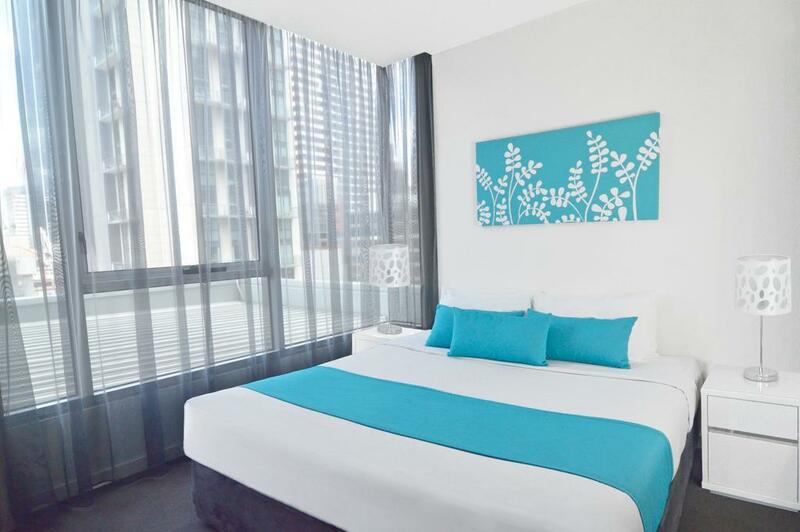 Location wise, it's excellent as well, near Victoria Market and within the free tram zone. Milano is 2 streets away from State Library Victoria, and 3 streets away from the ever busy and warming Chinatown. Room is clean and neat, the gym is probably one of the best hotel gym I have visited. Heater works perfectly fine during winter. Honestly I have no complains at all. Highly recommended. Room wasn’t spacious but suitable for family travellers to stay over. The room was clean enough and with fully equipped. It’s very convenient and the location of the apartment was really great as some famous attractions were nearby just within walk. The apartment are small but very comfortable for us. Location is very good! We rent a car from budget at the Melbourne airport to go to great ocean road directly and we return our car in Melbourne city which is just next to the apartment! It is in the free tram zone and can actually walk to Melbourne zoo too. Room service are excellent, Alicia and Vicky are friendly. There is adult pool, sauna, jacuzzi, bbq, gym and tennis court available. One of the lift is out of service so need a longer waiting time to go up or down. The dryer is not working well so we hangs our clothes around our room to dry them completely. Toilet without heater is too cold for taking shower.